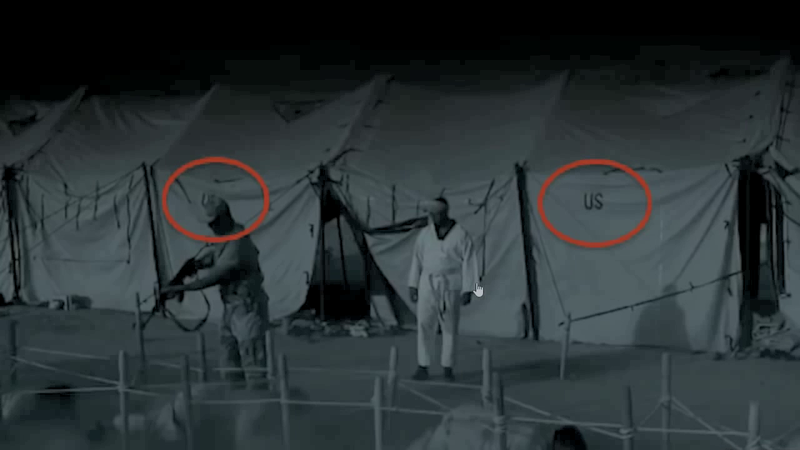 Hotspots on US Government imagery. September 16th, 2001. The Russian ‘threat” printed below makes it absolutely clear. The 911 lie is a dead duck. It’s over, and there is no need for the Russians to release any Satellite footage welcome as that would be. The Official account of the 911 events has long been unmasked and is exceptionally easy to disprove because almost uniquely amongst modern day lies the Official 911 story is physically impossible. The Official story is not only an incorrect description of the events of that day, it is physically impossible on any day. The sad truth has been staring every one of us in the face for more than 13 years, A critical mass has been reached and time is running out. If you consider the possibility that Western governments have known that time was running out on the 911 lie many of their recent actions may become comprehensible. The Islamic State psy-op makes more sense, a new enemy had to be cemented in the public mind so that the War on Terror could actually survive 911 truth. 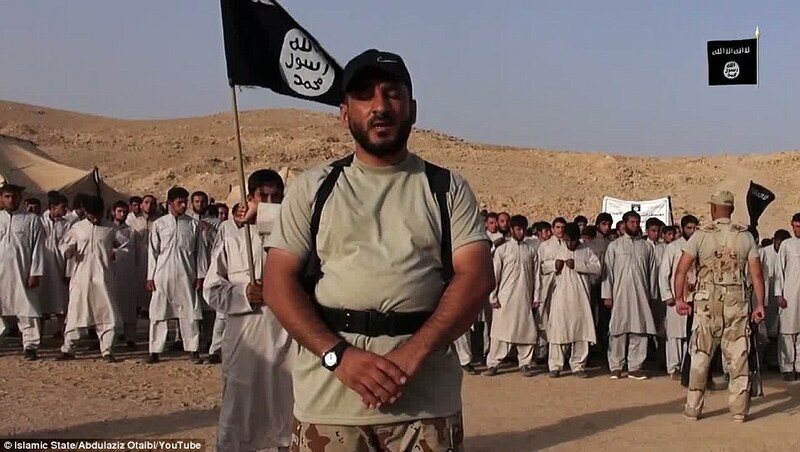 Suddenly you get staged beheading videos, the IS is a new demon Muslim to be hyped by the low media. These staged beheading videos are followed by a strangely low key bombardment of IS positions in Iraq and Syria all while the IS group continued to receive arms and other support from the US Shadow government. It looks as as though the War on terror had to be saved from the threat of the truth emerging about 911 and suddenly there are a whole spate of fake terror attacks right across the West. The Boston and Woolwich incidents, the Ottawa catastrophe and the Sydney shocker along with the whole wave of French terror that is still ongoing. The one really interesting thing in this statement was that the Russians imagine what they think the reaction of the US public will be to the truth about 911. Pravda imagine large demonstrations and a degree of social instability ” the cities will begin mass protests turning into an uprising,” this may be correct although I doubt that any can state with confidence the consequences the truth will have. 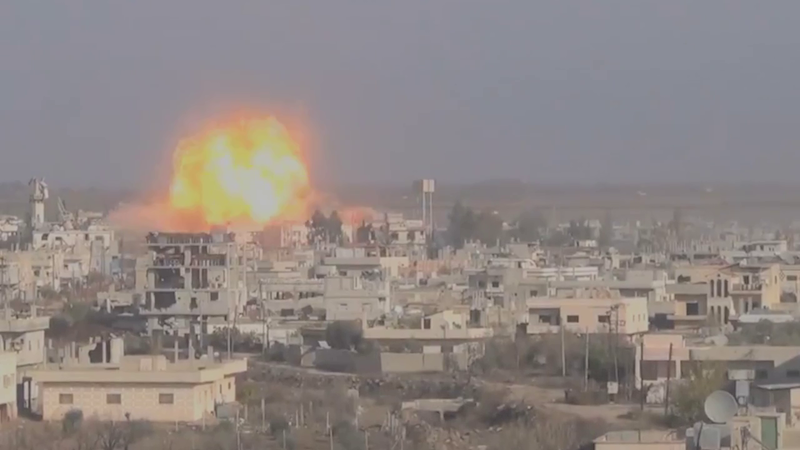 USAF attacks IS postion in Kobani, Syria. 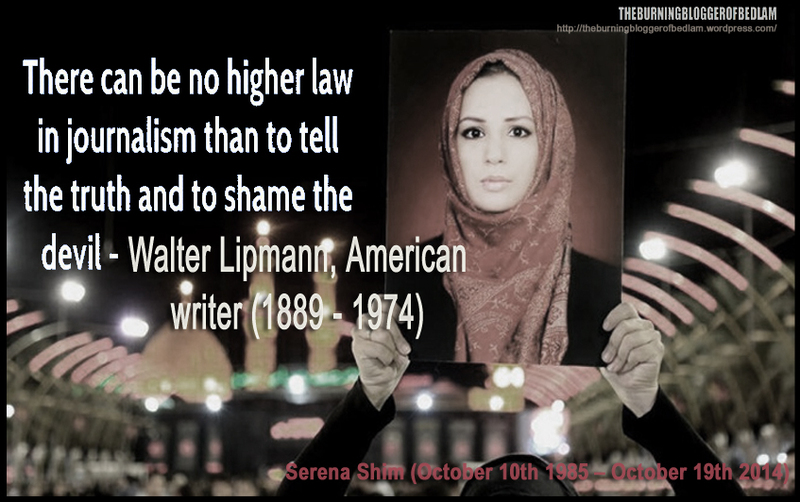 It is worth noting that a significant minority of US citizens have known the truth about 911 for many years and so it will not come as a complete shock to anybody, because almost all have been exposed to these ideas already to some extent. I have no idea what will happen and realise that I never dared to imagine what might happen. I expect that we will see stunned disbelief and denial initially, presumably followed by rage and demands for justice. The whole thing is going to be very difficult to resolve because so many of the institutions of the United States have fallen to some degree under the control of the criminal cabal. There are huge issues at all levels of Law Enforcement and Intelligence. There are tremendous issues also with the Judiciary. Dealing with these events in a civilised and legal manner is going to present an enormous challenge to the damaged and infiltrated institutions of the United States. It seems almost impossible, but the suppression of the truth is also impossible. Popular Mechanics and all the other fraudsters have been defeated. They were never more than time wasters. I found this via Jim Stone Freelance, and used Google Translate. American experts believe that despite the fact that relations between the US and Russia reached the worst point since the Cold War, Putin delivered until Obama only minor troubles. Analysts believe that this “calm before the storm.” Putin is going to hit once, but he’s going to hit hard. Russia is preparing the release of evidence of the involvement of the US government and intelligence services to the September 11 attacks. In the list of evidence includes satellite images, the website secretsofthefed. com. Published material can prove malice government towards the people of the US and the successful manipulation of public opinion. US government planned to attack, but spent her proxy. So that an attack on America and the people of the United States looked like an act of aggression of international terrorism. The motive for deception and murder its own citizens served as US oil interests in the Middle East state corporations. The evidence will be so convincing that they fall on the previous cases to manipulate public opinion in order to achieve selfish private interests. Russia proves that America is no stranger to expose and kill its citizens, that would make a pretext for military intervention in the foreign country. 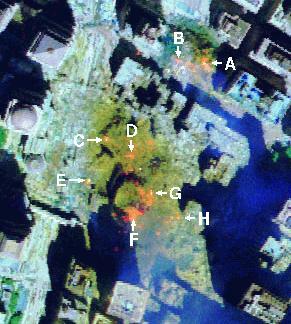 In the case of “the September 11 attacks,” the evidence will serve as satellite imagery. If successful, the consequences of Putin’s tactics, will be for the US government’s most unsightly. The government’s credibility will be undermined in the cities will begin mass protests turning into an uprising, paint a picture of American analysts. And as the United States will look on the world political arena? The validity of America’s position as a leader in the fight against international terrorism will be undermined than immediately take advantage of rogue states and Islamic terrorists. “Why are you Al Qaeda US called? It has long been clear to all that this is simply a lie. And Bin Laden comic “Marvel” invented.” Pravda commentator, also via Google Translate A Marvel invention indeed. . This video shows that the basic facts about 911 have been well known to Russian Military Officials for some time. ← The Death of Leon Brittan and the British Establishment Child Abuse Cover Up.